Who can access the Visualization Studio? 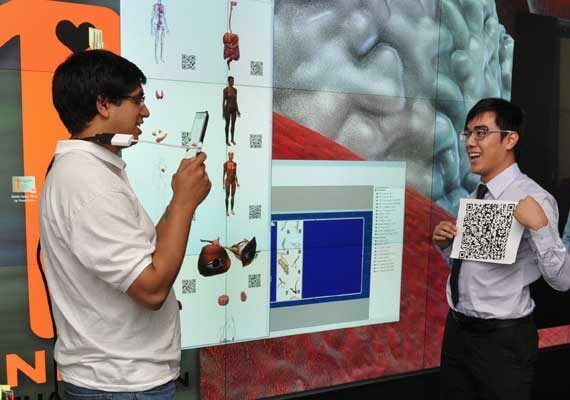 The Visualization Studio is designed for use by faculty, graduate students and other collaborators. 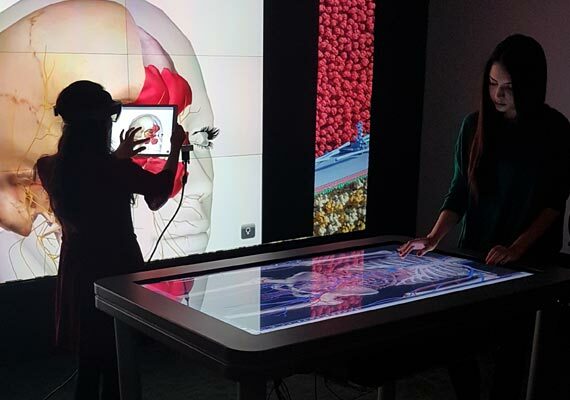 University of Calgary faculty may book the Visualization Studio for up to seven consecutive days. Christian Jacob, director of the LINDSAY Virtual Human project, describes his plans for using the visualization studio: "The large display wall will provide exceptional ways to look at thousands of anatomical parts, structures and 3D scan data. We can seamlessly merge high-resolution mesh data with our physiology simulations, which can then be discussed among team members, medical students or in group settings in the Vis Studio." One of the strengths of the Visualization Studio is the display wall’s ability to work with high resolution imagery. 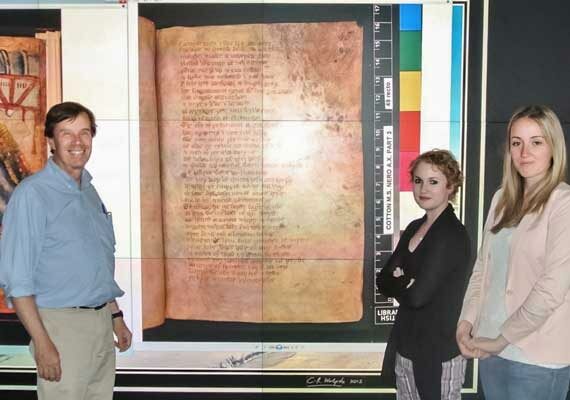 Murray McGillivray, Professor of English, has made use of these capabilities for examining the high resolution manuscript images from the Cotton Nero A.x. Project. Not only was Professor McGillivray able to view these entire images at full resolution, he was further able to make use of photo manipulation software to adjust their contrast and other properties to explore image detail not normally visible. The Visualization Studio supports a wide variety of statistical analysis and visual analytics software, including Excel, SPSS, SAS*, STATA*, and Tableau*. Jenny Godley, Assistant Professor in Sociology, found the room very useful for analyzing study data. The ability to view more than fifty columns of data across the display wall facilitates the discovery of trends and correlations more easily and more quickly than is possible on the limited width of a traditional desktop monitor. Furthermore, the Studio’s proximity to Spatial and Numeric Data Services (SANDS) means users can benefit from nearby expertise in GIS and statistical software as well as additional sources of data. Several computer science and engineering groups have been actively using the Visualization Studio to develop and explore new interface and software possibilities. 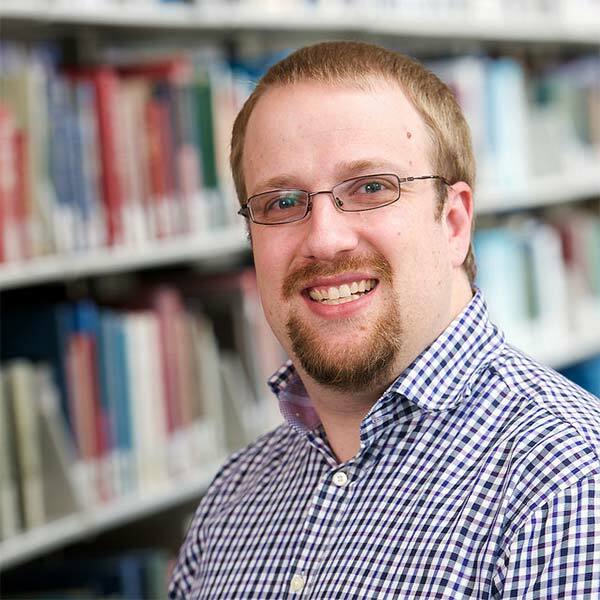 Frank Maurer, Professor in Computer Science states, "The Vis Studio allows my team to prototype multi-surface systems with our industrial partners to interact with vast amounts of data to support teams in oil and gas exploration, network monitoring and resource infrastructure planning. 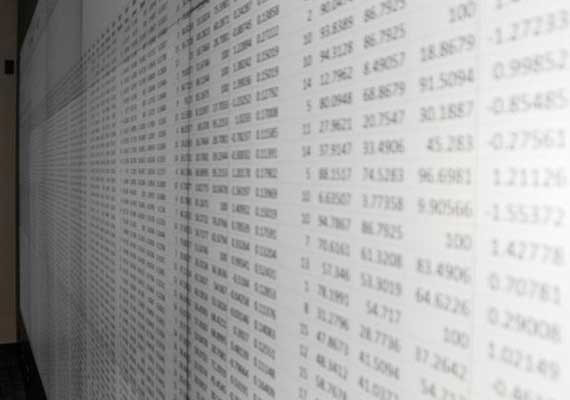 The Studio is an essential environment for dealing with the 'big data' challenges of the future."